When I was younger, I remember playing a role-playing game called Fable 2. Although the story is a bit complex, it’s a typical RPG where you go on quests, fight enemies, and save towns and cities. One thing that had an impact on me is that aside from hunting monsters and completing quests, you can also do “jobs” (minigames) and buy stores and businesses to earn money. At the start of the game, “gold” (the game’s currency) was difficult to obtain so I couldn’t always buy the best weapons and armor. Later on the game, however, some jobs like bartending and blacksmithing became available. Instead of fighting monsters and continuing the story, I literally spent HOURS on those “jobs” to earn money. After saving up a few thousand gold, I didn’t buy any new weapons and armor. I bought vegetable stands and street stalls which earn a few gold every 10 minutes. As time passed and those stores earned money, I saved the profits and continued at the blacksmith job to buy even MORE street stands. After a while, I started earning a few hundred to a few thousand gold every 10 minutes in the game. Later on, I was able to buy the big businesses that cost millions each like the tavern and the blacksmiths and they added even MORE to my 10-minute income. What happened then? I just left the game on for a bit to do my homework, browse the internet, etc. When I returned, the businesses I bought earned thousands of gold which I used to buy the best (and most expensive) weapons and armor available. Hunting monsters and saving cities then became laughably easy. Why did I tell you that story? Simple. When you learn how to handle money wisely, life will also become much easier. Think about it. You no longer need to worry about sudden emergencies or how to pay the bills because you have enough money for all of them. You’re free from soul-crushing bad debt because you’ve already paid it all and you know how to avoid them. You’re free to pursue better jobs, businesses, and other opportunities because you have more than enough money saved for all of them. Best of all, you no longer need to worry about the 9-5 grind, long commutes, and terrible bosses and you’re free to pursue your life’s goals and dreams because your investments earn a steady cash stream for you and your family. Although money isn’t the most important thing in the world (it’s just a tool you can use to do things), it can certainly help you in life if you use it well. Doesn’t that sound nice? It’s all possible when you learn to manage money wisely. If you want to learn the basics of personal finance, then keep reading. This will be an excellent start for your journey. 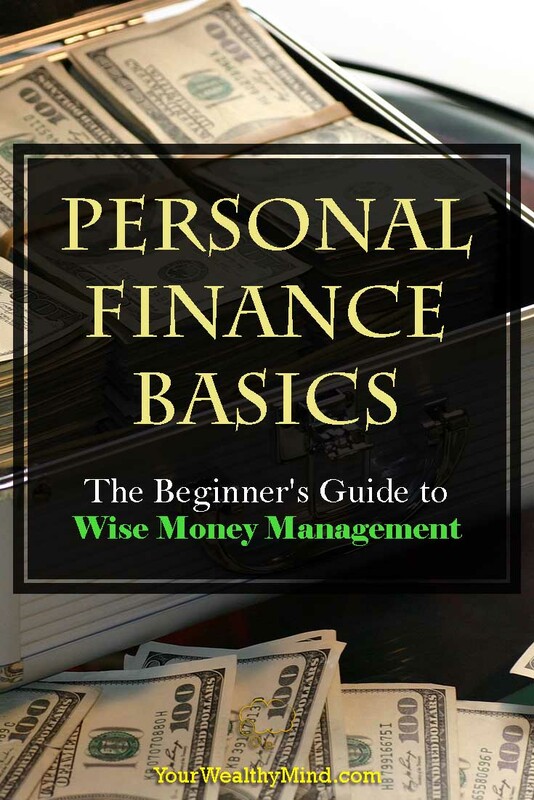 Personal Finance Basics: What IS “personal finance”? I remember my friend saying that the word “finance” sounds scary for most people, and I agree. The word alone makes me think of complex graphs, tables, and lots of numbers and terms that I don’t understand. Fortunately, personal finance isn’t that complicated. What is it? It’s simply managing your money well. That’s all. Buy more liquor and cigarettes? Buy things you don’t need or use just because they’re on sale? Gamble your paycheck away at a casino? Buy your 323rd losing lottery ticket for this year? Save money in a bank account so you can spend it all on a shiny new gadget? Save a part of your paycheck every month in order to invest in stocks, bonds, mutual funds, real estate, or other assets that will grow in value and give more money over time? Save money to someday start (or improve) your own business? Again, learning personal finance is simply learning how to manage money wisely. Ideally, you should avoid wasting money on things you don’t really need in order to invest in things that bring greater value over time (e.g. stocks that grow in value and give you dividend payments, rental properties you rent out to earn cash every month, etc.). We all have different goals and dreams so the reasons why we’d want to learn how to handle money well will all be different. Why should you learn personal finance? Do you want to learn how to stop your income from disappearing so fast? Stop worrying about surviving until your next paycheck? Have more than enough money to buy the things you really want? Stop worrying about your debts and ever-increasing bills and expenses? Do you want to have peace of mind knowing that you have more than enough resources to handle nearly any emergency like illnesses or job loss? Have a great retirement instead of being a financial burden to your children and grandchildren? Earn enough money to be able to help the needy? Do you want financial freedom? Get out of the 9-5 rat race and have more time for your friends, family, and the things that really matter? Stop putting up with a terrible job and horrible bosses because you need the money? Have enough resources to pursue better opportunities in life? Do you want to have enough money to pursue your goals and dreams? Whatever you want to do and have in life, you have to learn to use money wisely. It’s one of the most common tools you can use to achieve the things you desire. Imagine you were trying to build a farm. Can you build one by earning a cup of rice seeds and eating it all? No. You first earn a cup of rice seeds, then save and plant some of it in good soil to make it grow. Earn more rice seeds, then keep planting. Eventually, you’ll have a whole farm that brings you sacks of rice! 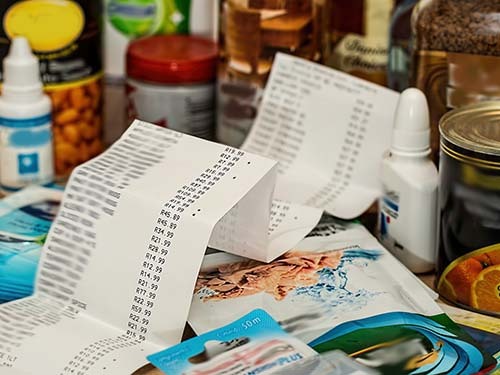 Just like building a farm, there’s generally three basic steps to personal finance: Earning money, saving a part of your income, and investing on things that create value. Before you can save and invest, you have to EARN money first. So how do people earn money? Simple. They do it by creating value. A chef cooks food that people want to eat, a doctor heals sick people, and a businessperson starts and runs a business that sells products or services that people use. Those who do nothing or create no value earn no money, and those who create negative value (i.e. harming others through crime or corruption) get punished. In line with that, there is the law of income: The greater the value you create, the more you will earn. That’s why a carpenter who can only make and sell one bench a week will earn less than the skilled carpenter who can make and sell a dozen benches, drawers, tables and chairs in that same week. It’s also the reason why the worker who lays bricks every day earns less than the real estate builder who can gather, hire, and hundreds of workers to build gigantic skyscrapers. If you want to increase your income, you have to ask yourself how you can create more value. Can you do it by improving the quality or quantity of your work? By learning how to mentor, lead, and manage your people better? By making small and continuous improvements to your product and business? You earn your current income because of what you learned to do. If you want to earn something better, you have to learn something better. Thomas J. Stanley, the famous researcher on America’s wealthy and the author of the bestseller “The Millionaire Next Door” observed that there are generally two kinds of people: Under Accumulators of Wealth (UAWs), people who have low net worth compared to their income, and Prodigious Accumulators of Wealth (PAWs), or people who have a high net worth compared to their income. In Stanley’s research, UAWs are those who look and act rich but aren’t. They’re those “rich” people who have high incomes from high paying careers, own brand-name and luxury goods, and live in expensive neighborhoods, but have no savings or investments and almost everything they own have been bought on credit. These people live on the cliff’s edge. One injury, illness or job loss there and they can end up bankrupt and homeless. PAWs, on the other hand, look ordinary but own million-dollar businesses and have hundreds of thousands or millions of dollars invested in assets/investments. They are the ones who live frugally and spend their money wisely by saving and investing it in order to create more wealth. What’s the lesson there? Having a high income is not the most important part of wealth. It’s what you DO with it that counts. If you earn a lot of money and you spend it all, you’re not being wealthy. You’re just being wasteful. For example, you may think you’re “rich” if you earn a million dollars a month, but if you gamble most of it away at a casino or spend it on expensive brand-name luxury goods until you have nothing left, you’re still just living paycheck to paycheck. If you lose the ability to earn that paycheck (illness, accident, retirement, etc), you’d likely lose everything especially if you bought it all on credit. On the other hand, if you save most of it and invest it in assets that grow in value and give a steady cash flow (businesses, dividend payments, income from rental properties you own, etc), then you’d likely stay secure for life. You probably won’t need to work as hard at the 9-5 grind because you’ve learned to make your money work FOR you. “Pay yourself first.” Instead of giving your money to the nearest boutique, right as you receive your paycheck you save at least 10% of it for investing. This step is CRUCIAL. If you don’t SAVE FIRST before spending, your expenses will eat up ALL your cash. Save a little money for safety. Nothing ruins people’s finances as quickly as sudden emergencies. Save some money every month in an “emergency fund” and purchase some good insurance plans. Preparing for emergencies isn’t paranoid; it’s just common wisdom. Pay debts ASAP. If you leave them alone, they can quickly snowball and bury you alive. They’ll ruin your future by keeping you chained in worry and fear. Aside from saving money for investing, you have to stop using credit on unnecessary expenses (pay in cash every time you can) and start budgeting a large part of your paycheck for paying off ALL your debt. There’s nothing quite as liberating as knowing that you owe nothing. You can think of money as something to be spent right away, or you can think of it as seeds which you can plant (invest) to earn MORE money. The most common investment vehicles are equities (stocks, etc. ), bonds, mutual funds, real estate, precious metals (gold, silver, etc. 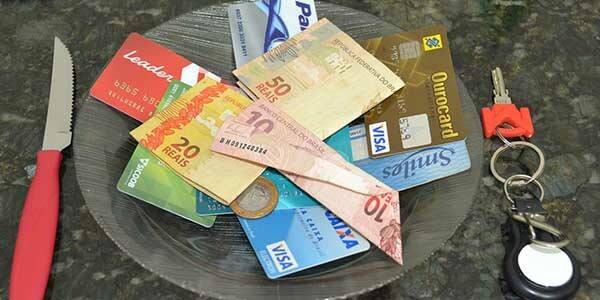 ), currencies (forex trading), your own business, antiques, collectibles, etc. Whichever asset you invest in, you have to study and analyze it well. Like what Warren Buffett always said, “the greatest risk lies in not knowing what you’re doing.” Remember why I said you need to “plant your seeds in GOOD soil?” The world is full of “best stocks/assets/businesses” that wilt and wither over time. If you know what you’re investing in, you’ll know how to avoid bad investments. You have the life you have now because it’s all you’ve learned to earn. If you want to increase your income, advance in your career, improve your business, and do more for the world, you have to learn what you need to do in order to achieve them. Never forget to invest in yourself as you are your own greatest asset. What’s the alternative to learning personal finance? Finally, you choke out all the enjoyment out of life and you lose sight of your goals, dreams, and opportunities because you’re too busy worrying about money. 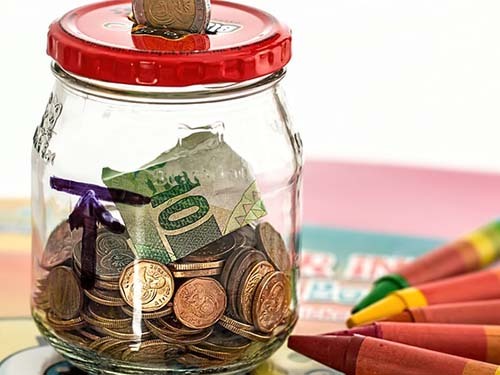 How do you start your financial education? As Dr. Seuss once said, the more you know, the more places you’ll go. An empty lot is just an empty lot unless you know how to analyze real estate value, and a stock is just a bunch of letters and numbers unless you know how you can use it to earn more money. Study personal finance, leadership and management, business and investing. The more you know, the more opportunities you’ll be able to find and use. There are many ways to achieve what you want in life and it’s VERY likely that somebody already succeeded at it. Whether it’s starting and running a successful online business, raising a family, or lifting people out of poverty, learn from the lessons and experiences of others and use those lessons yourself. Keep experimenting and keep improving until you find the perfect formula that works for you. It’s your life and your responsibility, so why not go for it? It’ll certainly be worth it. Is there anything else you want to learn about personal finance and money management? Ask us in the comments section below! Ray, great post! I just sent this over to my sister too. We forget about that most of the time. I know I traded UP my expenses everytime I got a raise a work. Now, I see one can only accumulate wealth if you save more than you earn. Simple, but hard to do well over time consistently. Thank you! I’m glad it helped. That point is a valuable part of personal finance because it shatters the illusion that “more money” solves financial problems. I believe Robert Kiyosaki was the one who taught that “more money won’t solve the problem if your cash flow is the problem,” and that’s something we should all keep in mind. Yes, I totally agree with what you said. I think that it is important to learn finance. I also think that if we know how to handle money we can have the chance to have a better life in the future. Thanks for sharing this article.